Last weekend, Florian presented our Traversing Networks of Complexity: From Database Artworks to Contemporary Networked Publications, presentation at the Digital Abstraction Symposium at Jacobs University Bremen. As Lev Manovich argues in his essay “Abstraction and Complexity” (2007), the new image of our increasingly complex world is the one “as the dynamic networks of relations, oscillating between order and disorder” (Manovich, 2007, p. 352). One of the central ideas and abstractions of the digital media ecology is thus the idea of the dynamic network that nowadays is virtually everywhere. And on a very fundamental level the network is at the core of the information society we live in: the network as basic hardware infrastructure of the Internet as network of networks, the controlling the flow of information. The Web 1.0 as network of hypertext-documents, the Web 2.0 as network of data, or lately Web Squared as network of semantics, locations or things. Thus in the end some core elements of our digital environment such as the database as cultural form (Manovich, 2001) or a publication in the widest sense can be abstracted as a network of relations between digital assets, in short data – which is in its nature an abstraction itself. And the idea even reaches out into theories of knowledge-generation and learning such as connectivism. Besides looking at digitality as abstraction, software-abstraction (Manovich, 2007, p. 346) is also a way to make layers of complexity with its richness accessible in a meaningful and understandable way. The activity of traversing and understanding complex network structures of data and knowledge becomes manageable through software interfaces. In our paper, we will trace different approaches to this task with a primary focus on our Networked Ecologies project. As a case study, the Networked Ecologies project puts our interrogations into artistic/critical practice as we are thinking “through, with and alongside” (Hayles, 2012, p.1) the theoretical and scholarly implications of layered digital abstraction, complex dynamic networks, and scholarly rigor as they are applied to innovative digital publication. Though Amanda Starling Gould was unable to attend physically, she created a virtual presence (that, importantly did not rely on Skype or even a working Internet) by recording a slide-by-slide audio presentation that allowed Florian – our fabulous on-site presenter – to remix and creatively perform alongside her voice & slides. Instead of relying on an unstable web connection, and instead preparing a video or a single audio presentation, Amanda created a short audio clip for each slide. Florian could then talk to/with her in his well-practiced performative way. For the first half of the presentation, Florian prepared a comprehensive introduction that outlined one avenue of our project’s theoretical trajectory. In the second half of the presentation then Amanda presented the Network Ecologies Project as a case study that, as we say above puts our interrogations into artistic/critical practice as we are thinking through – and experimenting with – the theoretical and scholarly implications of layered digital abstraction, complex dynamic networks, and scholarly rigor as they are applied to innovative digital publication. By all accounts, the method worked quite well. Many thanks to Florian for all of his hard work! Manovich, Lev. The Language of New Media. Leonardo. Cambridge, Mass. [u.a. ]: MIT Press, 2001. Manovich, Lev. “Abstraction and Complexity.” In MediaArtHistories, edited by Oliver Grau, 340–54. Leonardo. Cambridge, Mass. [u.a. ]: MIT Press, 2007. 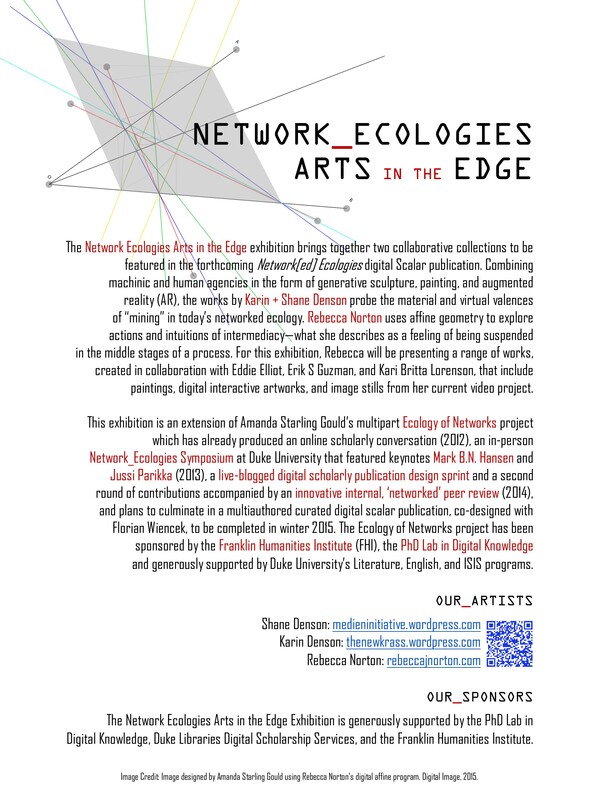 The Network Ecologies Arts in the Edge exhibition brings together two collaborative collections that will be featured in the Network Ecologies digital scalar publication. 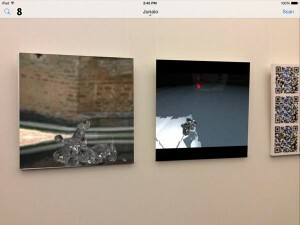 Combining machinic and human agencies in the form of generative sculpture, painting, and augmented reality (AR), the works by Karin + Shane Denson probe the material and virtual valences of “mining” in today’s networked ecology. Rebecca Norton uses affine geometry to explore actions and intuitions of intermediacy – what she describes as a feeling of being suspended in the middle stages of a process. For this exhibition, Rebecca presents a range of works, created in collaboration with Eddie Elliot, Erik S Guzman, and Kari Britta Lorenson, that include paintings, digital interactive artworks, and image stills from her current video project. 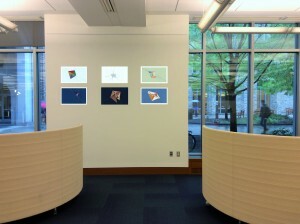 This exhibition is an extension of Amanda Starling Gould’s multipart Ecology of Networks project which has already produced an online scholarly conversation (2012), a successful in-person Network_Ecologies Symposium at Duke University that featured keynotes Mark BN Hansen and Jussi Parikka (2013), a live-blogged digital scholarly publication design sprint and a second round of contribution accompanied by an innovative internal, ‘networked’ peer review process (2014), and plans to culminate in a multiauthored curated digital scalar publication, co-designed with Florian Wiencek, to be completed in winter 2015. The Ecology of Networks project has been sponsored by the Franklin Humanities Institute (FHI) and the Duke PhD Lab in Digital Knowledge, and generously supported by various Duke University departments. 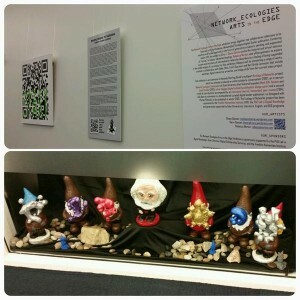 The core Network Ecologies Arts in the Edge exhibition will be open from April 20, 2015 – August 2015. 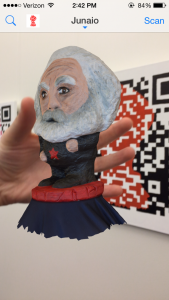 On April 20, 2015 we will have an opening event with artist talks, hands-on demonstrations, and one-day exhibitions by our artists that will include a giant AR gnome, an AR treasure hunt, and a screening of a networked video that will be projected onto the walls of the Duke Edge Digital Research Commons. The Network Ecologies Arts in the Edge exhibition and event will be co-sponsored by the FHI, the Duke PhD Lab in Digital Knowledge, and Duke Libraries Digital Scholarship Services. *Note: Karin has uploaded to her website thenewkrass.wordpress.com digital images of her hand-painted QR code canvases and you can actually scan the images to experience the AR! CFP for new work posted! 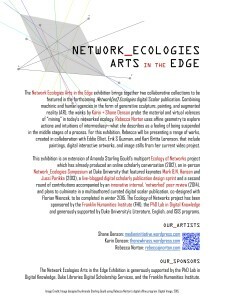 The Network Ecologies project has been a multi-year, multi-stage, multi-format, multidisciplinary venture exploring the object and idea of the network and the networked. The first stage was an online forum where invited scholars posted content for comment and critique by their fellow featured scholars. 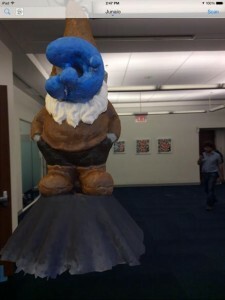 Stage two was an exciting two-day symposium at Duke University that included presentations from an architect, a data scientist, a media philosopher, a multimedia artist, a classicist, a speculative lab performance group, and a pair of game designers. It culminated in a keynote + response from Jussi Parikka and Mark BN Hansen. Stage three involves tracking and tracing the data threads from the previous stages in order to produce a digital publication using the Scalar publishing platform. My design partner, Florian Wiencek, and I dedicated the last week in May to an N_E design-sprint of sorts and, with the help of Scalar’s Craig Dietrich, we mapped a prototype. A few highlights: our content nodes will be networked by keywords and will allow readers to slip into and out of interdisciplinary research threads; our reading paths will be multiple so as to suit a variety of reader-preferences; our conference videos will be annotated with time-matched tweets; and upon release we will open the publication for comment and will integrate the most exciting comments into the text as featured annotations. We live-blogged our data-centered design process and you can see that on our Network Ecologies website. The project will initially be published by Duke’s FHI but we are excited to pursue several other publication prospects that are in the pipeline. During this Scalar production stage, I am inviting a select group of scholars to contribute original pieces for publication. We’d like the publication to be a ‘living’ publication and the purpose of this call is to further perpetuate both the research conversation and the publication’s interdisciplinary reach. 1) That your piece engage the idea or object of the network or the networked. 2) That your engagement be particular to your research. You need not follow any prescribed theoretical trajectory or particular iteration of the network(ed). The very point of this project is for each of us to bring our own research – developed and delivered in its own unique vernacular – together around a to converge around a single keyword. The assumption is that through transdisiplinary co-mingling and collaboration, both our individual research projects and the Network_Ecologies publication, as a living research hub, can gain new dimension. We hope that by putting diverse minds in dialogue with each other, we can facilitate a more robust understanding of the network by way of merging and (re)mixing multidisciplinary understandings. You also need not follow a prescribed format. Our current data sources include tweets, video, audio, images, text, powerpoint presentations. The beauty of a digital publication, especially one using the Scalar platform, is that we can publish – and annotate – a multiplicity of media forms. For the format of your piece, consider a long- or short-form essay, consider an annotated text, consider a video, consider an audio recording, or consider a hybrid. The Network_Ecologies project appreciates the media-specific materialities of data presentation so if a deliberate and/or particular text/media arrangement is part of your piece, we can work together to realize your vision. Deadlines will be rolling. The first deadline for final projects is September 20. The second is December 20. If you’d like to contribute but cannot make these deadlines, let me know and we’ll work out a third. If interested in contributing to one of the first two deadlines, please email me at amanda[dot]gould[at]duke[dot]edu a statement describing your research or project idea by Oct. 1, 2014. Platform Considerations: Why Scalar for the Network[ed] Ecologies Publication? 1. This is an authored and edited collection. The project began from a set of keywords – network(s), networked, ecology, ecologies – and sought interdisciplinary understandings of each. These keywords are at the center of the project- they were indeed the very guiding ethos of the project – and I believe they must remain there. 3. We will then put these into dialogue with computer-generated keywords that reveal themselves by way of computer-driven text analysis. Because our publication is a born-digital publication, we want to acknowledge the computer’s perspective vis-a-vis keywords but we do not want to privilege these keywords over and above those created in & for steps one and two. We will edit these keywords then and curate navigation paths, slipping points, access entrances into and through the content of the digital Scalar publication. **Our short paragraph turned into a rather long and detailed document, which is here in its evolving entirety. 2. Begin by doing text analysis of data and do some sample keywording on one specific case so as to think about how we might use the digitality of the medium to digitally analyze our data. We want to integrate digitality at all stages. 1. We’ve published and opened our collaboratively-authored Network[ed] Ecologies Digital Publication Concept Document to allow for further public collaboration. We invite you to view our document and to join our project by adding comments, questions, and critiques. When thinking about how we might manifest our Network[ed] Ecologies publication, we thought about the project on multiple (networked) levels: the idea was not only to create a digital publication on the topic of networks but at the same time to rethink the possibilities and potentials of digital and digitally-networked publication. …a digital publication about networks, which lives in a networked environment, can only be properly presented as a network in itself. Thus this digitally-born publication does not only reside in the network environment of the internet, where any context is only a click on a hyperlink or a search away, but has to be thought of as a network of data in itself – as a networkED publication. We want Network[ed] Ecologies – A Living Publication to be an open publication and a living conversation. This digital publication, that will use the Scalar publication platform, will house the born-digital content created during Stage One of the Ecology of Networks project – an online exchange that merged original content from an interdisciplinary group of invited professionals with born-digital media content to form an online responsive dialogue – and Stage Two – a live-blogged, live-tweeted, and video-captured in-person symposium at Duke University that featured both our online scholars and new invitees. Network[ed] Ecologies – A Living Publication will use the affordances of the digital to remediate all of our content – from video and text to tweets and images – into a living but persistent and carefully curated publication, and will present a multimodal, multiply-interactive, poly-interfaced ‘reading’ experience. Many parties from author to reader to publisher have an interest and a stake in the challenge to create an open publication that is still professionally composed, editorially rigorous, thoughtfully – and provocatively – authored and dynamically maintained. This is our challenge. 2. For our second goal, we scraped the text from our initial essays and conversations and processed those through several open-source digital text analysis tools. Stay tuned for more details about the computer-generated keywords these tests revealed. Do keywords represent an index? a chapter organization? How fine-grained do we want our annotations to be? Do we want to do annotations ourselves? Can we open annotation to the readers? What steps do we need to go through to make the navigation points available? 2. Continue discussing how we will accomplish the goals outlined in our Network[ed] Ecologies Digital Publication Concept Document. This is, of course an ongoing evolving discussion. Florian Wiencek and I (Amanda Starling Gould) started our PhD Lab Network_Ecologies Scalar design project ‘residency’ today by inhabiting the lab and adopting it as our home base for this week’s open working meetings. This is stage three of the Network Ecologies project whereby we curate our born-digital and our in-person conference content into a digital publication using the Scalar publication platform. Our discussions began today by talking about data, data relations, keywords, and content, and by brainstorming an architecture and infrastructure for their digital presentation. Next Steps: How do we curate, present, (ab)use, open, provoke, and interact with that data? We’ll map out our possibilities for various reading paths? What would be desirable as a digital reading/interaction interface for a networked publication? 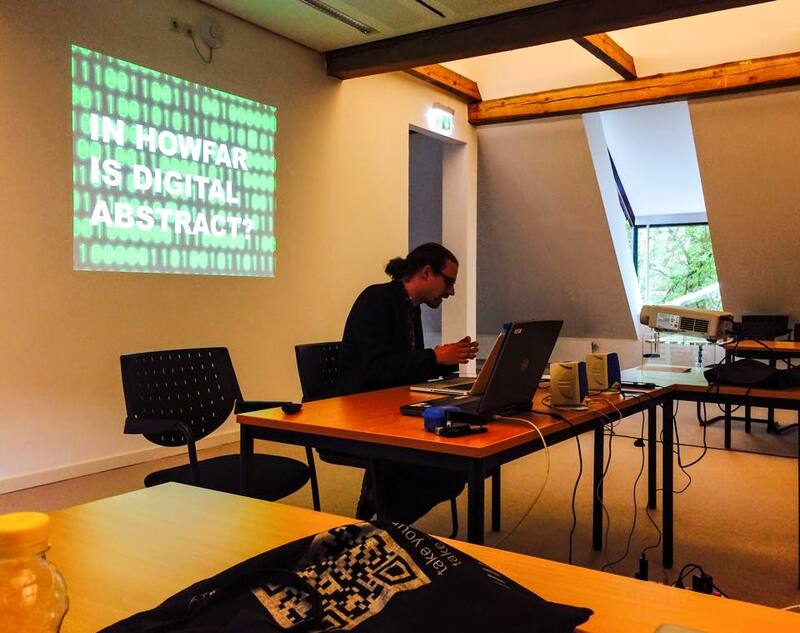 How can we mobilize and/or co-opt digital (analysis-) tools in the production of our digital publication? What is the role of the editor in this type of project? We are doing fundamentally different work here as digital publication editors. We are authoring data – and data layers (e.g. metadata), relations, infrastructure, architecture, interaction, annotation… How does this define our role? 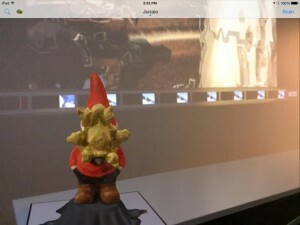 Digital curation as filtering – what are our filters? What role do our filters play? And what is at stake here vis-a-vis digital publication? Our data is digital and we want to remember that at every stage. How can we best do this? 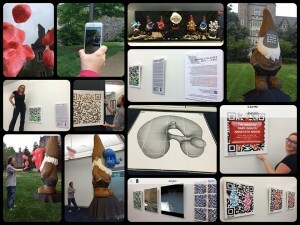 How does thinking digitally alter/enhance the digital publication? How does thinking digitally challenge the idea of publication writ large? We want to think about how we might use the digitality of the medium to digitally analyze our data. We want to integrate digitality at all stages. If we want to create a keyword navigation structure, we can think about keywords from the human perspective and can use digital text analysis methods so as to see the keywords a computer-perspective might generate. Stay tuned for daily posts as Florian and Amanda begin prototyping our stage-three digital digital Scalar publication. The goal of our publication is to capture the multimodal content – from video to blogs to images to tweets – from the first two stages of our project and to curate that into a living publication. 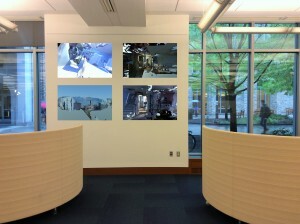 Here is a project – using Dr. Moore’s iRODS architecture – that may interest #netcologies scholars. via “Storage Infrastructure of the Virtual Scriptorium St. Matthias” (2012) by Vanscheidt, Rapp, & Tonne. Special thanks to Dr. Moore for directing us to this site.